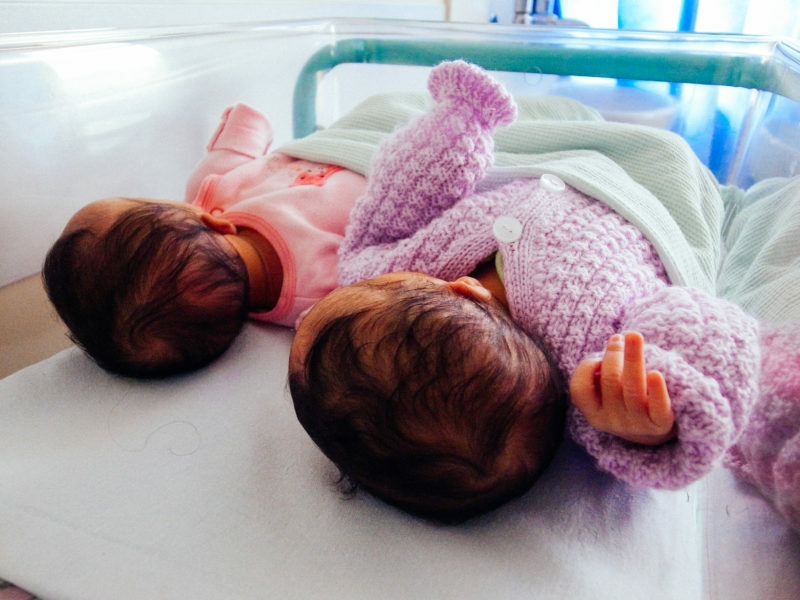 When our twin daughters were born, about 5 years ago, our lives changed dramatically. It’s easy to forget the early stages of parenthood but a friend of ours has recently given birth and it made us revisit the nights of sleep deprivation. When our son had been born M and I would take sleep shifts so one of us could get some rest. When the girls came along they clearly hadn’t read the memo about needing to sleep at the same time as each other so we could function as rational human beings. Extremely unhelpfully, their sleep patterns were out of sync. So for the first few months we staggered around like zombies because as soon as one very cute baby fell asleep the other equally cute torture master would wake. Neither of us got more than about 4 hours, very disrupted, sleep a night. I remember routinely losing awareness for a second or two on my commute home from school as I speed along the M25. I think I operated in a state of chronic sleep deprivation for a state of about a year and many other parents of young children I’ve spoken to have similar stories. Luckily that stage, although it feels as if it will drag on for ever, eventually comes to an end. Everybody expects their sleep to take a hit as a parent. However, I recognised the signs of sleep deprivation because periodically I have experienced them before. As I’ve written previously, I have experienced periodic bouts of depression since my teens. I can point to probably three very serious ones where I was unable to continue with my day to day life for a few months. Others episodes saw me outwardly functioning to a reasonable standard but the quality of my life and relationships was seriously negatively affected. At each of these times my sleep was also severely disrupted. For many years I was at the whim of these events. Eventually, in an effort to take a bit more control of my life, I started looking at some patterns over time. One major pattern I noticed was that many of these periods started in October, around the time I am writing now. This was a complete ball ache because I’ve spent 14 years of my working life as a teacher and this coincides with the longest term in the English school year and, for me, the hardest. Still getting to know classes and any new routines or rules that have been implemented for the start of the new academic year, alongside mourning the warmth and bright days that left in summer. This is a pain for anybody but it was especially annoying for me because I’ve often also experienced this while being in a leadership position had to make extra effort to be on top of things to meet the needs of people I line managed. I noticed that my depression was always accompanied by lack of sleep. My brand of insomnia is a sneaky kind. I can happily drift off at bed time but then in the middle of the night I’ll wake up and be unable to fall asleep again. The first few days going to bed at 10.30pm or 11pm and waking up at 4am don’t appear to be a huge deal but after weeks or months the cumulative effect on concentration, energy and mood turn me into almost a completely different person. So for years I started to address what I thought might help with depression and definitely noticed an improvement. I’ve written about habits I’ve found that help here. This year, for the first time, I decided to specifically attempt to improve my sleep alongside the general steps I was taking to affect my every day mental health. It was the summer time and I had already resigned from teaching. I knew I would not be returning in September. Days were long and bright. My work at an education think tank was going well. I’d had some annual leave and family life was good. But… I was experiencing insomnia again. I couldn’t work out why. No dark mornings and afternoons. No stress about improving GCSE results. What was going on? After it went on for a few weeks I started to notice the gradual slide into low mood. I’d always assumed my depression triggered poor sleep. I’d never even considered it might be the other way around. So for the first time, in an adulthood punctuated significant periods of disrupted sleep, I decided to educate myself about sleep and do whatever I could to positively influence this area that was clearly affecting my overall health. When I’m serious about a topic I start reading about it. So I started reading Why We Sleep: The New Science of Sleep and Dreams by Matthew Walker. I have to say it’s a fascinating book. I learnt all sorts of things that I did not know about sleep and its importance to the human body. I also learnt about its importance to other species- did you know that dolphins can swim perpetually because only half of their brains fall asleep at a time? I didn’t. Like many professional people, I’d gotten into the habit of considering sleep a bit of an optional extra. I’d want to cram all I could into a day and then sleep in whatever time was left over. This book taught me that actually sleep is the foundation of everything else that we as humans want to achieve. People who regularly get enough sleep concentrate better and are healthier in almost every way compared to those who don’t. I also learnt that the routine that M and I had drifted into of sleeping at around 11-11.30pm and waking at 5.30am was leaving us cumulatively sleep deprived. One problem. While reading this book I was already experiencing sleep problems. I had an inkling that sleep was pretty important. Now I was reading a sleep scientist tell me that people who routinely got insufficient sleep were thought to be at higher risk of Alzheimer’s and other neurodegenerative diseases. I was freaked out. Now when I woke up after 5 hrs sleep I lay awake worrying about the fact that my brain would eventually turn to mush because I hadn’t had enough sleep. That seemed counter-productive so I stopped reading the book and looked for one that had solutions to actually improve my sleep. So after a browse on Amazon I decided to give Sleep Smarter: 21 Essential Strategies to Sleep Your Way to a Better Body, Better Health, and Bigger Success by Shawn Stevenson a go. I was drawn in by the “21 essential strategies” it promised in the subtitle and the author’s personal story in the preface of how he’d accidentally improved his sleep and overall health while trying to work out how he could walk without pain after being diagnosed with a degenerative bone disease. Reading this book and acting on much of what it suggests has dramatically improved the quality of my sleep and, by knock on effect, my life. Many of the readers of this blog work in education or are leaders of some sort. This means that our working lives can sometimes be high pressured and affect our sleep. That’s without the additional complications of having mood disorders as some of us may have. For those with Seasonal Affective Disorder here in the UK that will probably start kicking in after the clocks go back to GMT in October so I hope that what I am about to share about my learning and actions from Sleep Smarter may be of some use. I have consistently implemented and practiced the following over the past month or two. Occasionally I’ve slipped but generally I’ve noticed a huge difference. Serotonin is a chemical found in the brain and gastrointestinal tract. It is associated with happiness and wellbeing and if you have ever been prescribed anti-depressants you may have been prescribed a SSRI (selective serotonin re-uptake inhibitor) such as Prozac. Serotonin also helps to regulate the body’s internal clock and our sleep-wake cycles. It is influenced by our diet, activity level and the amount of natural sunlight we get. I’d previously been aware that light affected my mood. When I got my first Head of Maths position early in my career I had an office with no windows and had noticed how flat I had felt. After that I always requested an office with a window and used an SAD light. But I didn’t know that sunlight affected sleep too. I decided to get early morning sunlight every single day by going for a morning walk outside. I no longer teach and I now work flexibly for most of my week so that means that most days I walk with my partner to drop our kids off at school then back home before we both start work. It’s a round trip of about 40mins with plenty of daylight. When I was a teacher and commuting into London I’d get off the train one stop earlier so I could walk 15 mins and get some light and exercise. We also have a dog so walking her at a suitable time helps. When I taught I had to leave by 7am, sometimes earlier, in the winter that means it’s still dark so maybe a break time walk around the playground is an option then. Anybody who knows me, knows this is HUGE. Since my late teens I’ve been known for having an excessive number of sunglasses (if I’m being objective more than one pair is excessive given that I live in England and not the tropics). I used to have a variety of differently coloured frames just to match my outfits. Nowadays I only have two pairs of aviators but they pretty much come out any opportunity because I hate squinting (and they look cooooool). I love my sunglasses but I love my health and the benefits of a good night’s sleep more. 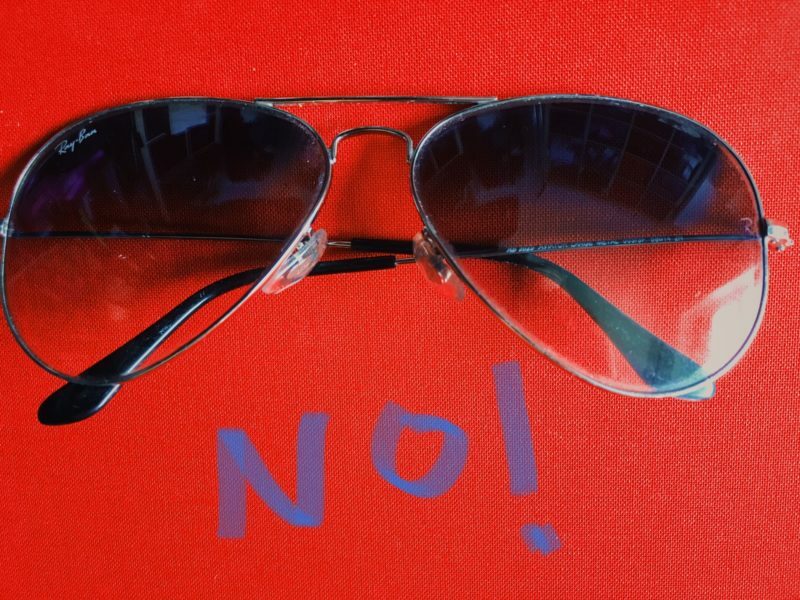 As soon as I read “sunglasses inhibit, the natural exposure of light you need to assure healthy hormone secretions and healthy sleep.” I knew it was time to limit my usage. Now I very rarely wear sunglasses unless I actually cannot see in order to drive or similar. I’d always known that length of sleep was important but I’d not given lots of thought to sleep quality. Research by the Dr Mariana Figueiro and her team has shown that 2 hours of computer screen time before bed was enough to significantly reduce night-time melatonin release. Reduction in melatonin secretion will affect your sleep cycle. We don’t have any TV subscription services or Netflix and I generally only watch a film or DVD boxset in the weekend evenings when the kids are asleep so TV wasn’t a huge factor for me but when we do watch something I try to make I stop around an hour before I go to bed. I’ve found my sleep is actually best when I read for a while in the evening. For me a traditional book works best as there is no back light etc. I also leave my phone charging over night outside our bedroom. This was a big change for me because I used to listen to an audio book or podcast to fall asleep. Now I cuddle up to M instead and chat for a bit and if I fall asleep after her I use my ancient iPod (remember them?!) to listen to something on timer. Have you ever fallen asleep with your socks on? I don’t wear socks to bed but when I’ve accidentally fallen asleep with them on I noticed that I always, without exception, wake up in the middle of the night because I’m feeling hot. I had no idea why but apparently “there is an automatic drop in core body temperature to help initiate sleep.” So if the surrounding temperature is too hot your body can find it hard to get into an ideal state for sleep. As I’m writing this, I’m making a note to tell my mum and my cousin who both have their home thermostats at t-shirt and short wearing temperatures all year round. According to studies the ideal range for room temperature is 15 to 20 degrees Celsius. I prefer a warmer house than M but marriage is about compromise so we’ve had it fairly cool for some time with a blanket or warm duvet when I can no longer stand it. So in that respect no real change. However, I read with interest that having a bath 1.5 to 2 hrs before going to bed can help. I’m generally a morning shower person but the general idea is that our core temperature rises because of the bath and then drops to slightly lower than usual just before bed which helps the body’s natural process. I’ve not managed every single night but I do now have additional evening baths (I’ve also found showers work too) more often than I used to since reading this. A bathing or showering companion is optional but they may help you fill your time if you’ve decided to reduce evening screen time as suggested earlier. I had gotten into very bad habits. I wasn’t getting enough sleep and it had crept progressively later. Sometimes I wasn’t actually in bed until 11.30pm. Way too late for somebody who needed to wake up between 0530 and 0600. Occasionally I’d get reading or writing something or rewriting a chapter of my book The Unexpected Leader until well into the early morning. I knew that length of sleep was important I so I’d try and sleep in when I could but I didn’t know that the timing was important too. As soon as I learnt that “Human beings get the most beneficial secretions and recover by sleeping during the hours of 10pm to 2am” I got serious about a consistent bedtime at the right time. I worked out the bedtime I’d need for 7.5 hrs sleep and set a Bedtime alarm on my iPhone. My phone alarm alerts me half an hour before I want to be in bed and I go upstairs and start getting ready. Now I’m consistently in bed ready to sleep at around 1030pm. On the times that I go to sleep much later than this but still get 7ish hours of sleep I do notice that I don’t feel as refreshed. We’ve all heard about the magical 8 hours of sleep. Actually sleep cycles occur in roughly 90min (1.5 hr) cycles and setting your alarm at these breaks is actually better and will make you less groggy. So 1.5, 3, 4.5, 6, 7.5 and 9hrs of sleep. Coincidentally, when I started tracking my sleep more carefully I noticed that my very early waking coincided with roughly 4.5 or 6 hrs of sleep so it seems I always woke at the end of a cycle. I’ve use this blog post to cover some of the major strategies in Sleep Smarter that have worked for me and are quick wins with noticeable results. There are a few more I’d like to share but you’ve already patiently stayed with me for nearly 3000 words. So how about we take a break? I read Sleep Smarter every day for a few weeks and implemented one thing each time I read it so there was bite sized action with cumulative effect. We’ve covered four key strategies so far and I’ll leave you to try some before returning with my reflections about some of the others in a future blog post. Autumn term can be a stressful time for teachers and that stress can spill over into disrupted sleep patterns. For anybody with Seasonal Affective Disorder it may also be the start of sleep problems. If that’s the case for you try at least one of the suggestions above consistently for two weeks and see if it makes any difference. I’ve tried all of the steps above in conjunction and they have made a real difference to my quality of sleep overall. Share this with anybody who you think would benefit from reading it. And let me know anything that you have tried. Page 20 Sleep Smarter: 21 Essential Strategies to Sleep Your Way to a Better Body, Better Health, and Bigger Success by Shawn Stevenson.